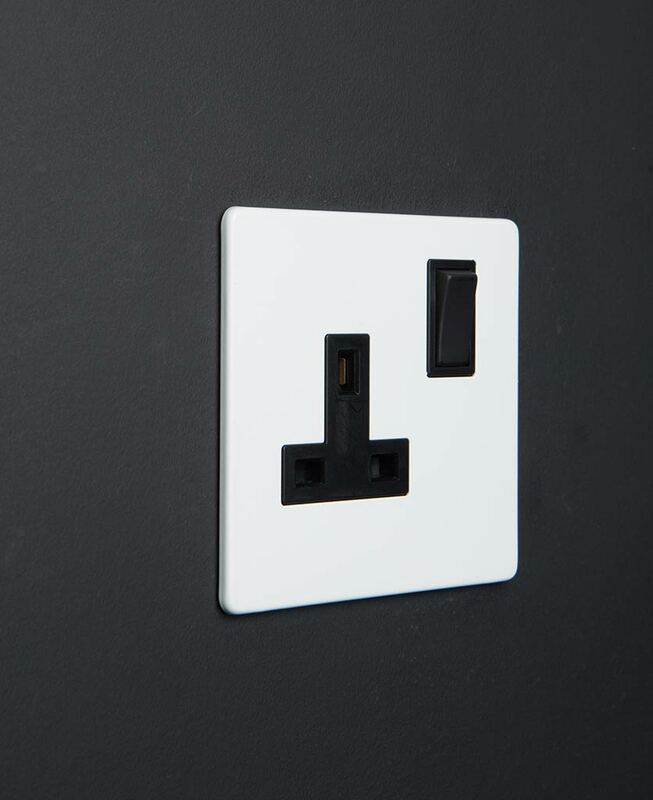 When only white will do, our white plug socket is an ultimate purist’s dream. It’s the very epitome of minimalism – we’ve even hidden the fixings away so your lines aren’t ruined by unnecessary faffery. We designed these all white sockets ourselves you see. Our white plug socket is a great all-rounder. Its universal style means it’s at home in many environments. If you love the all-white Scandinavian look, this 1 gang satin white wall socket is perfect to adorn your walls. It’s an understated and elegant socket that will update tatty old white plastic ones with style and panache – but nothing too daring. You may well ask, “What’s the point of replacing white sockets, with more white sockets”… Good question. One of team D&R has just done exactly that in a newly refurb’ed kitchen. 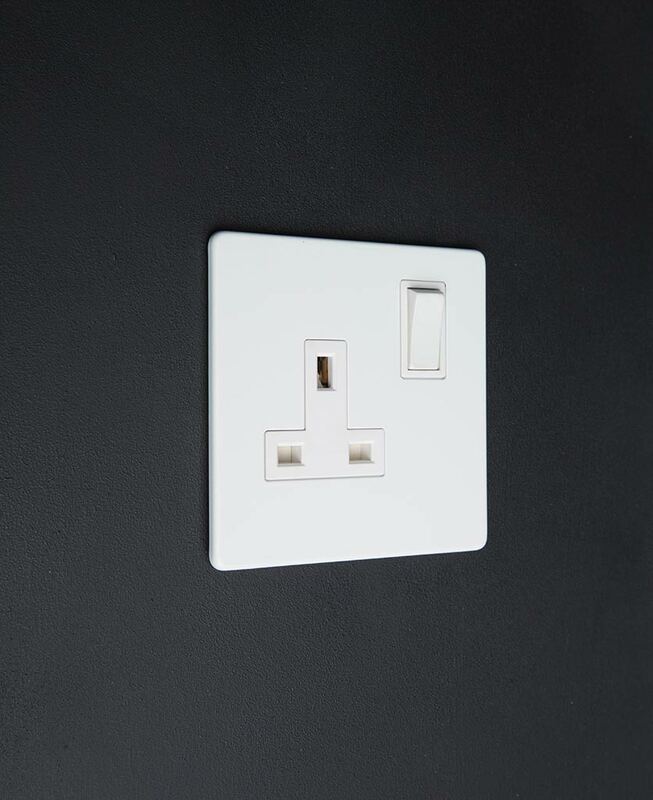 If you’ve got white tiled walls with visible wall sockets you want the very minimum of disruption to your beautiful clean lines and that’s where our perfectly plain white plug socket comes in. They’re nice and flat so don’t stand out a mile from your wall and their white satin finish is very sleek. They look high-end designer rather than bargain basement and when you’ve spent thousands on a new kitchen, it’s vital to invest in good fixtures. Part of our ethos here at Dowsing & Reynolds, is affordable design with an edge – the exact reason for creating our own range of plug sockets. 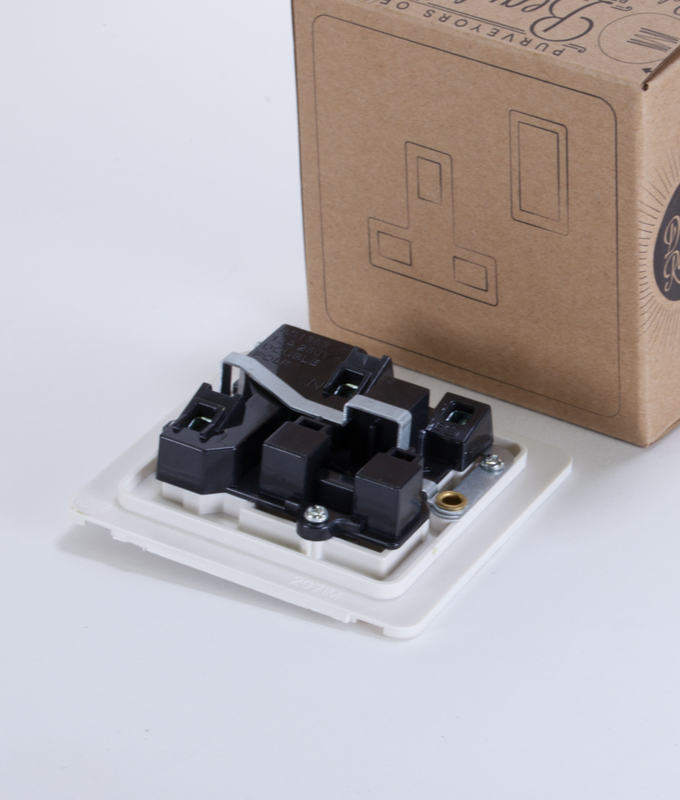 We’ve also designed a collection of equally lovely light switches, dimmers and toggles switches all absolutely perfect for your industrial style interior. Our modern minimalist, single satin white plug socket has been designed exclusively by us here at Dowsing & Reynolds and only we sell it. We’re positive you’ll love this socket but if for any reason you don’t, just send it right back to us and we’ll give you your money back. No quibbles.